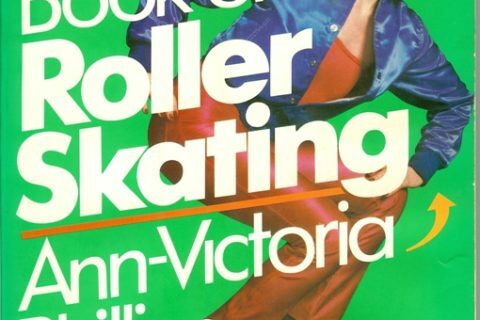 Evidently roller skating is all the “new” rage according to our authors. 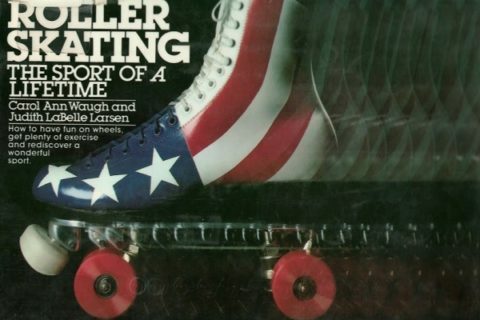 Since I was a teen throughout the 1970s, I can say I went to the rink a few times. 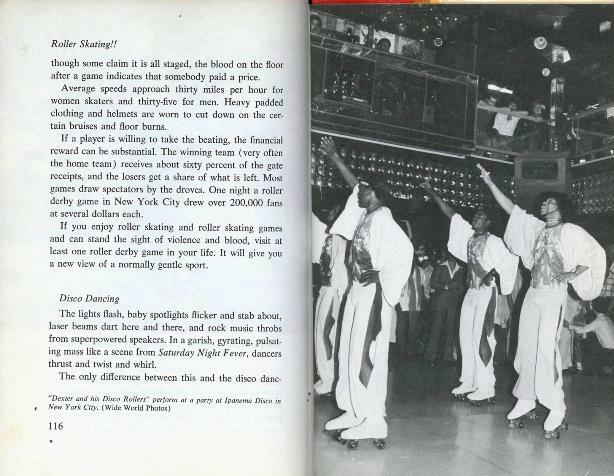 However, by the time this book was published, I would have said that hanging out at a roller rink was not that cool. (Full disclosure: I was never cool, so don’t use me as a barometer.) 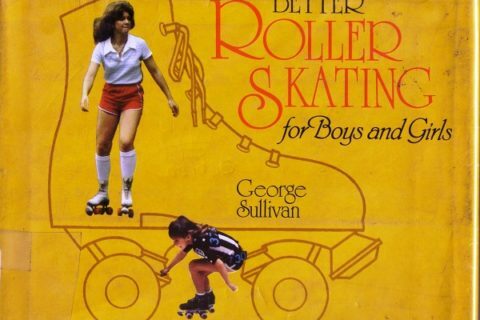 This book was a lot of fun to look at especially since I think I went to high school or college with most of the people in this book or their doppelgangers. 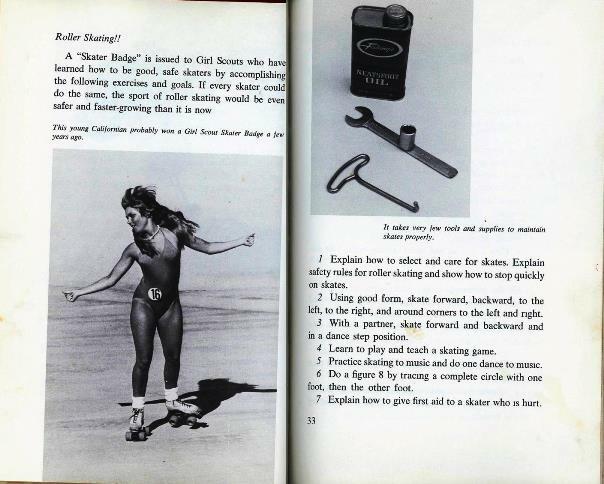 My particular favorite picture is of the young lady skating in a swim suit and the caption says she probably was a girl scout. Now I am curious why she was “probably” a girl scout? Was it the swimsuit? 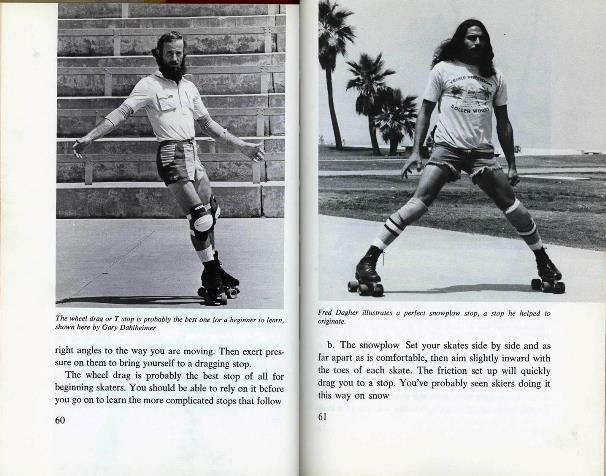 the skates? the hair? I need to know. 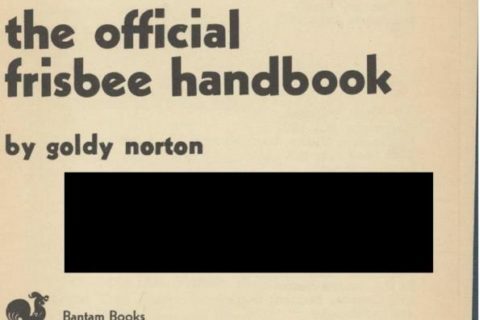 Now I am curious why she was “probably” a girl scout? 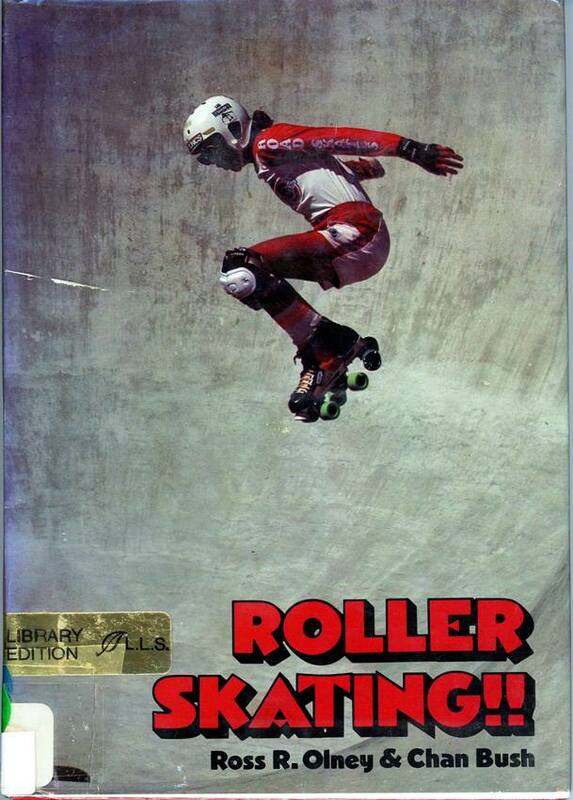 Bring out the magnifying glass and you’ll see that the body text is about the Girl Scout Skating Badge; the caption says she “probably” won said badge a few years ago. If so, I really hope the badge requirements have been updated, because that swimsuit does not come with a lot of protective equipment. Is the lady planning on going into the ocean with scraped knees and elbows? Ouch. If you have to use two exclamation points, chances are your sport is not all that cool. My eyes! Their beards are longer than their shorts!!! I think it is a darned shame that men nowadays wear those long baggy shorts, frankly! Why shouldn’t women be able to ogle, too? 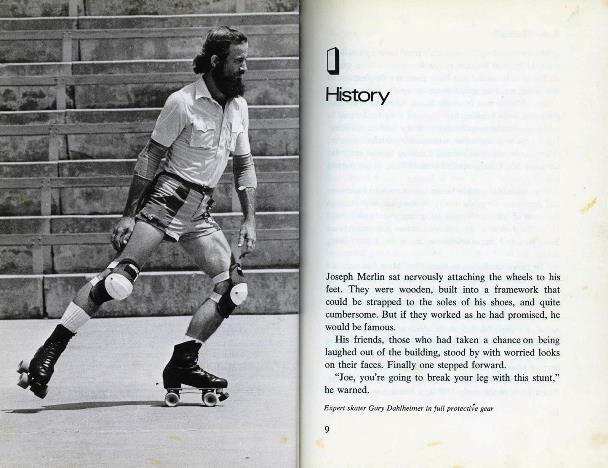 Is Mr. Hipster in short-shorts on page 9 actually sporting a man-bun? He is Before His Time!